The first half of the show I discuss what fun things I did and encountered during the show. I ramble on about True Dungeon. A great, emersive, and live D&D experience. 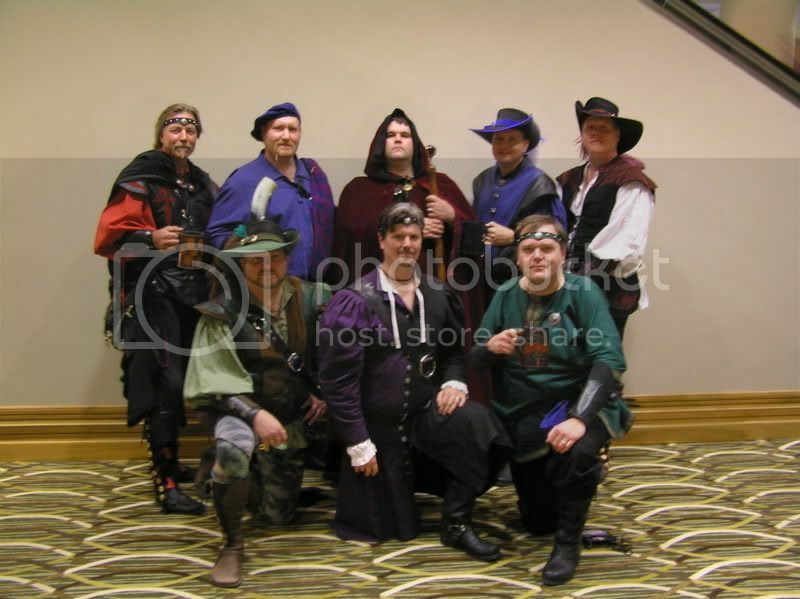 Here’s a picture of our group in costume prior to going into True Dungeon. I’m the wizard that ate Raistlin. For you Fear the Boot podcast fans, note the Headbands of Awesome +10. 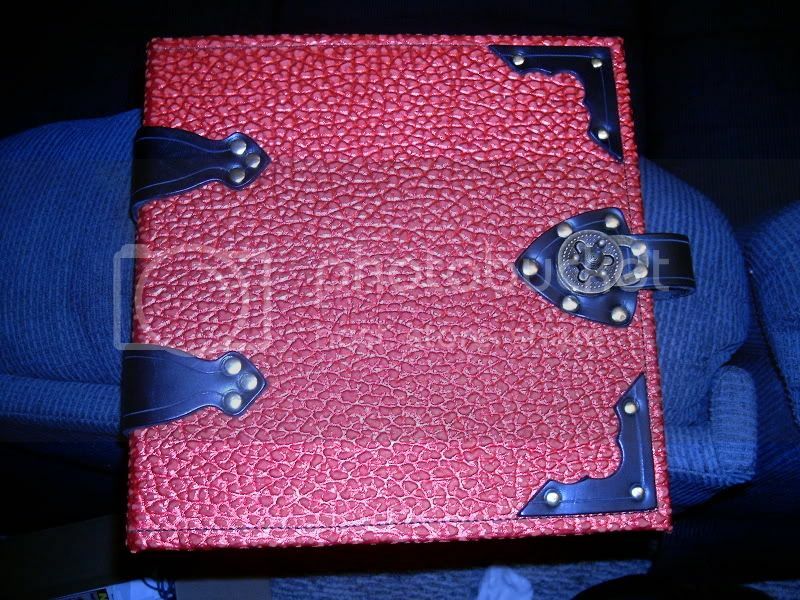 Here’s a picture of the dragon skin three-Ring binder, my “gotta have it now” buy. I also made a mention of Dwarven Sweatshoppe. I’ll probably be getting something from them next year.